Conversion of any space into stylish office accommodation is easy with office partition systems from Greenoaks Ltd Meeting rooms, boardrooms, cubicles and offices, reception areas, conference suites and even washrooms can all be achieved simply and cost effectively using one of our range of office partition systems. 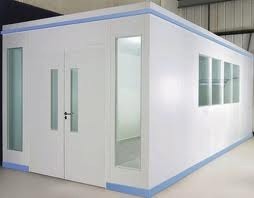 Two major considerations when partitioning offices etc are fire safety and acoustic performance. All our systems meet the minimum fire resistance requirements of BS476 part 22 and in many cases exceed this. The “Fire & Sound” range offers up to 60 minutes of fire resistance in full height glazed, solid and door elevations and superior acoustic performance from 30dB (Rw) on door elevations to 52 dB (Rw) on solid modules. Where aesthetic considerations are more prevalent the Ovation, Vitrage and Scion office partition systems offer the interior designer a range of options; stylish glazed panels, a choice of frame colours, skirting options and a timber system are all available, combing their good looks with safety, flexibility and performance. Contact us now and find the right Steel Partition for you! This innovative system combines the office partition with modular storage units to provide stylish yet functional free standing room dividers or partition walls. Its modular nature offers an extensive choice of configurations and audio visual presentation equipment can also be easily accommodated. Our Greenoaks office partitions are moveable wall systems that can be easily reconfigured in rooms with multiple uses. The Greenoaks system provides exceptional acoustic performance between 37 dB (Rw) and 53 dB (Rw), as well as being designed with rapid reconfiguration in mind. Pre-fabricated and supplied with all fixtures and fittings ready for installation, our washroom partition system is a fast and easy solution to providing workplace facilities. An ideal way to provide office, inspection, packing or staff room facilities in factories and warehouses, factory partitions from Greenoaks Ltd are available in a range of heights and widths, including multi-tiered and single- or double skinned to suit almost any environment. Modular mesh factory portioning is ideal for isolation areas in factories or warehouses or for securing valuable goods on pallet racking systems. Our new clean room factory partitions are now available and our managed installation service makes designing and fitting your factory partitions a breeze. Office & Factory Partitions. Call us on 0161 775 7178 or contact us below! If you think a steel partition might solve you space problems, call us today on 0161 775 7178 or fill out the form below. Showcasing all of our products and our unbeatable prices! The best Pallet Racking in the North West!